Clothes. One of the many things we cannot avoid to buy especially our kids’. 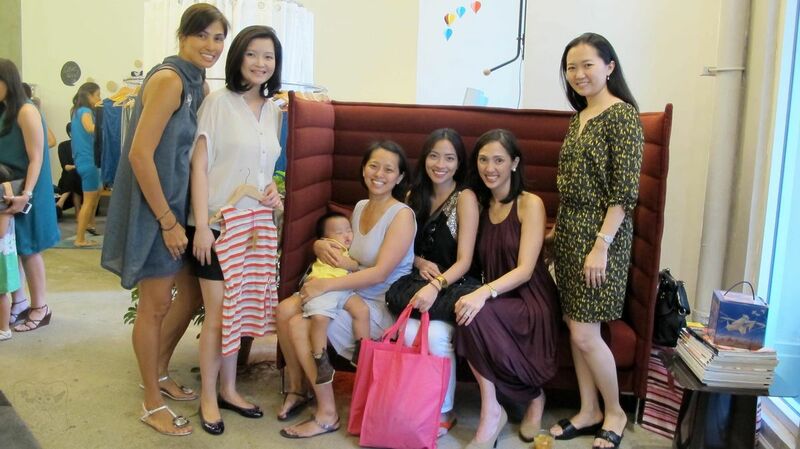 So when Van Santos invited me together with the other SoMoms to check out her latest business called Stella, a clothing line for kids, I said yes and attended their launch two Saturdays ago. TALA Manila and Grubbies are niche brands created by Mavis Manotoc- Fuentabella (left in photo). An ex-banker, full time mom turned entrepreneur, created the lines based on a need she felt in the current market. The clothes are a reflection of her own personality and life story. They are timeless and reliable pieces for a fast paced lifestyle, in quality fabrics and limited pieces. This summer, Tala explores the magical world of little girls. It was born from a persistent request of Stella Santos (Mavis’ 3 year old niece), for “dresses like mama”. Mama is Vanessa Mayuga-Santos, former Luxury PR & Marketing Professional turned full time now and now amateur entrepreneur. Life has a way of falling into place and Mavis & Vanessa decided to collaborate and launch a full-blown collection together. After years of trunk shows, TALA Manila and Grubbies have finally found their own home— UPSTAIRS. UPSTAIRS also houses infant clothing named Paula And Baby. Vanessa Santos with the star of the show Stella. Cozy interior is what makes UPSTAIRS unique. It is as warmth and cozy as entertaining and hosting guests in Mavis’ home. Check out the first capsule collection of Stella by TALA. From left: Mavis, Charlene, Jenny with Eric, yours truly, Vanessa and Tammy. We moms had fun shopping for ourselves and for our kids. I cannot wait to wear the Bea dresses I got for myself and for lil’ Ms. GJG. That’s the stripe one Charlene’s holding. 🙂 Stay tuned for our Mommy-daughter outfit shot!